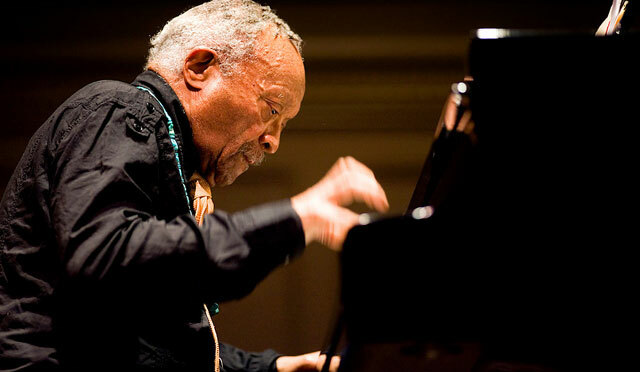 If the only constant in life is change, then Cecil Taylor not only worships at that altar, but is the very epitomé of change as he revels in the chameleonic nature of life. And if musically speaking some thought he enjoyed tweaking everyone’s ears, the truth surely lay in his love of caprice, of music’s volatile, ever-changing nature. An exquisite example of this is Garden 1st Set. 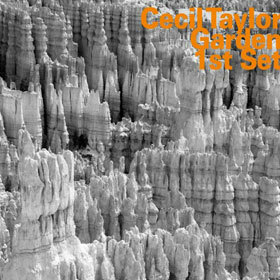 Case in point: Garden embraces the very life that Mr. Taylor celebrates in the raw, just as his singing of the blues, going his own way to oblivious to the need for ensemble line and direction. His call-and-response is internal as singular as his notion of life—angular, beautiful as sunlight caught through shards of glass. His revolutionary interpretation of the blues is as individualistic as Leadbelly and Robert Johnson, and Duke Ellington, whom, you might say, inspired him. On this disc he ponders the possibilities in the spectral dimension of life itself. This disc is also in a sense a wicked way of homage to pianists as great as Liszt and Chopin. Rapid Dances played very slowly, then with profound pulse and tempo and with deep affection, a mesmeric contradiction in terms. I looked for confirmation on the present disc of what I can only describe as playing of a strange and alluring genius. And here he is, playful, liberated and mercurial. What light-fingered dexterity in the three songs; what charm and wit in his selection of notes. Hear him in the central section of “Elell” as he makes out in an unforgettable way against its cascading figuration. Here as on “Garden I” is all of his mischievous twinkle in the black notes and if in “Stepping On Stars” you miss, say, the patrician poise of Duke Ellington Mr. Taylor offers his own wayward, but inimitable view of the music’s stellar journey. This third song opens in an oddly portentous rather than maestoso manner but is at once followed by one poetic revelation after another. Alive with personal magic, his playing never makes you aware of the applied, self-conscious artifice of lesser pianists, only with happiness to share every imaginative possibility. “Garden” could hardly be more graceful, fluent and affectionate. And if that the piece is odd in metaphor, it comes sufficiently unstuck at the end to make its wilder moments seem accurate by comparison and also transfixing. So what of this first set of a remarkable concert? Here, Cecil Taylor is able to achieve his love of freedom when sharing honors with the elders. There is never an uncomfortable sense of a pianist longing to break out and go his own way. Mr. Taylor is already there stepping on stars with the great ancestors of the blues and of jazz, with whom he shares a vaunted space in music’s Valhalla. While now his performances get stronger and more daring as he challenges the ordinary in ways that only a great pianist and musician can—with uncommon courage and singularity.